Ramsons commonly known as wild garlic is a pungent plant that can be used to replace garlic or onions in any recipe. It's not as strong as a bulb of garlic so the vibrant green leaves make a nice addition to pesto or salad. I went back to an old foraging spot in Ironbridge to pick this wild garlic because there is an abundance of it at this time of year and I'm yet to find as bountiful a spot near our flat. 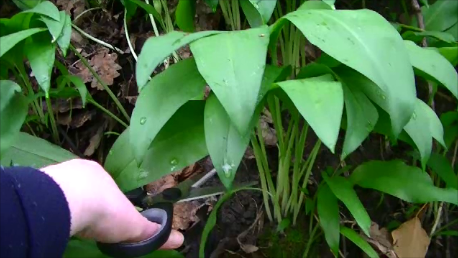 The leaves of the wild garlic are similar to the poisonous Lily of the Valley but you'll know the difference by the scent, ramsons have a strong garlic scent. The woods were carpeted with wild garlic today, when we were younger we would call them stinky lillies because we could smell the garlic from the woods out on the road where my Nan lived. For the filling mix the pork mince, pepper and diced garlic leaves together. 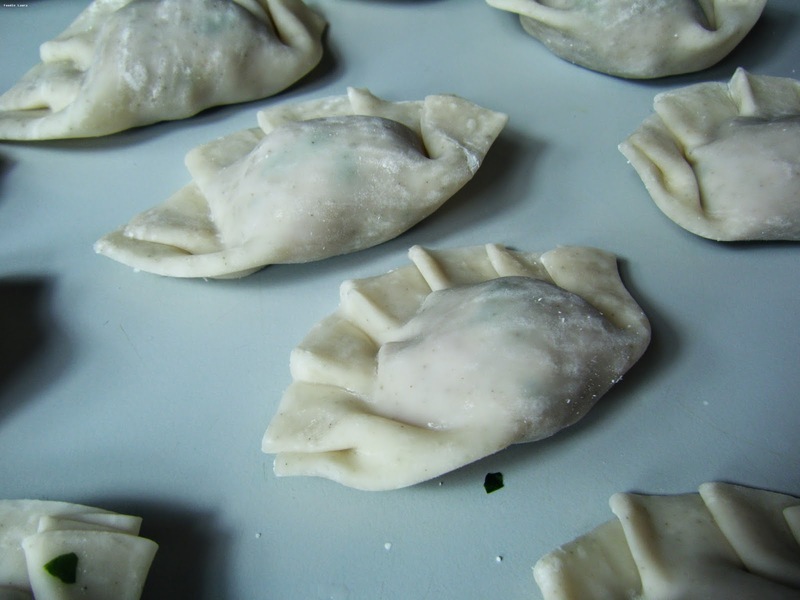 You can prepare these dumplings in advance but be sure to wrap them with cling film as the fine gyoza wrapper dry out very quickly. 2. With your finger tip add a ring of water to the outer edge of the wrapper. This helps the wrapper stick together. 3. Fold the wrapper in half and press the the wrapper around the meat squeezing out any pockets of air. 4. Consantina the edge of the edge of top wrapper and press it into the bottom to seal the gyoza closed. 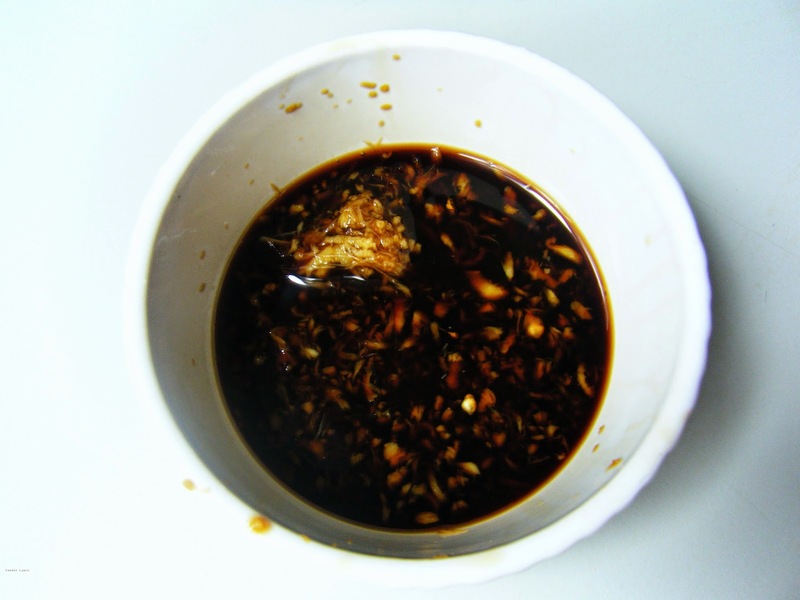 Fry the gyoza with a tablespoon of sesame oil in a large frying pan over a medium heat, turning them once. Fry them until they are golden and crispy, it takes about 4 minutes on each side. 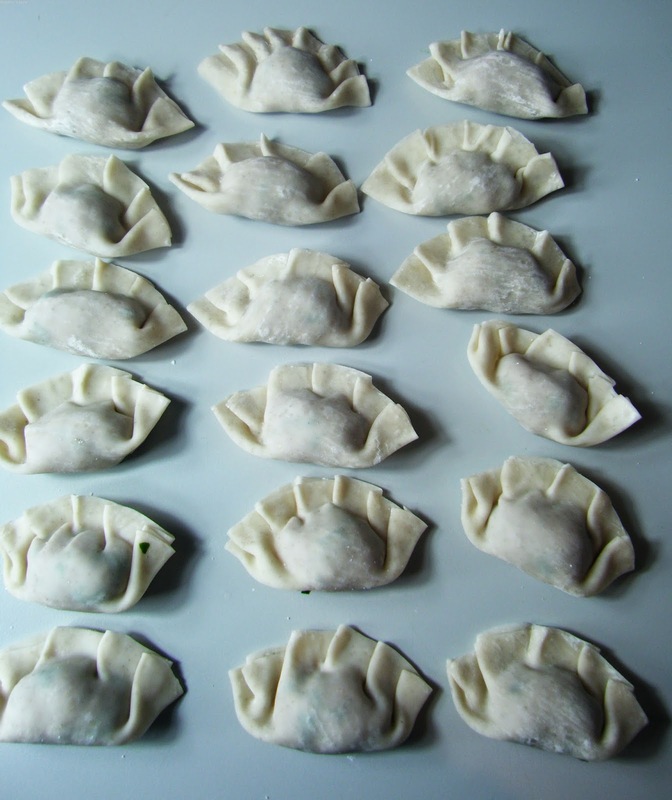 If you prefer your gyoza soft you could also steam these dumplings or add 2 tablespoons of water to the frying pan. I like to dip them in a mix of soy and grated ginger. 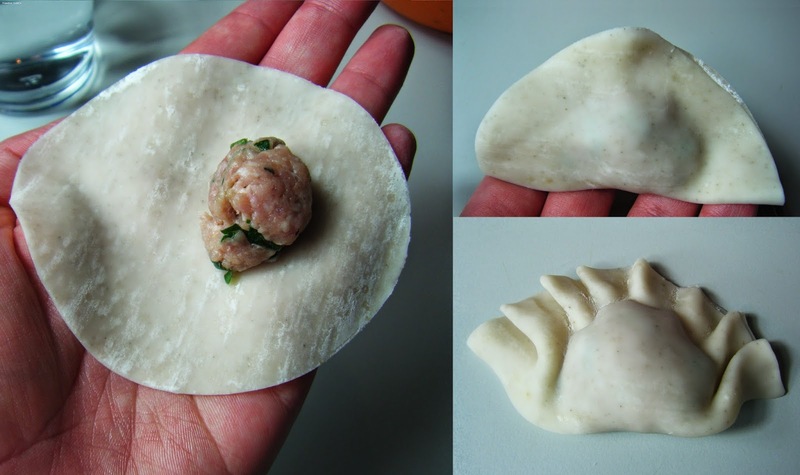 these wild garlic gyoza also go great as a side dish with stir fry noodles or sticky fried rice. I'll be including this recipe in my Nature's Lunchbox challenge. Have you been foraging this month?